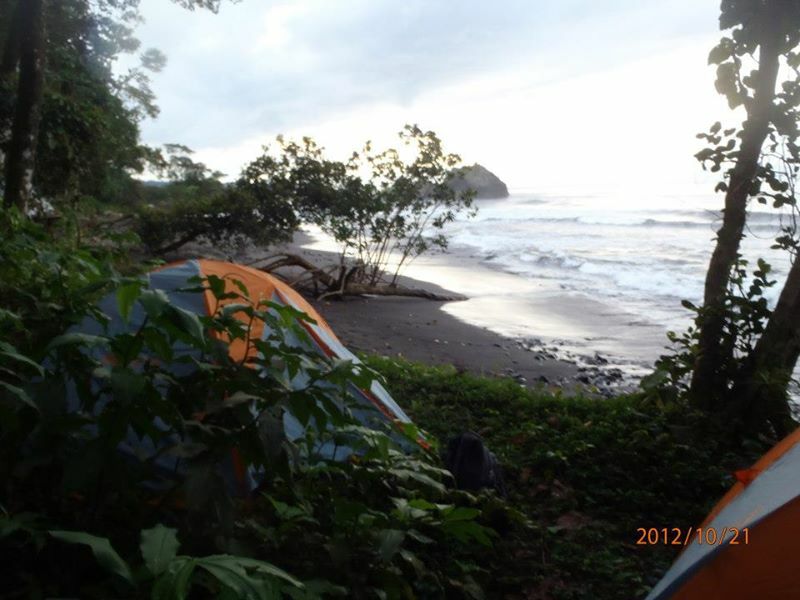 Tents near the beach on Bioko Island, Equatorial Guinea. Often in the rain forest, your best bet is to sleep in a hammock with a bug net under a tarp. There are several advantages to this; often this system is lighter, dryer and less likely to be invaded by ants and other wildlife. However, tents are more familiar to most western traveler and especially for a short time, a good summer tent will serve you well. Just be prepared to sleep on often wet ground and realize that sleeping in (like for a couple hours after sun rise) is often like sleeping inside of a sauna. I’ve camped in both ways in the tropics and vastly prefer the hammock and tarp system when sleeping alone.